Blue moon soon! You know me and my obsession with the moon. On the 1st day of August and the 31st day of August this year we get to enjoy a full moon. August brings a “blue moon” this year! 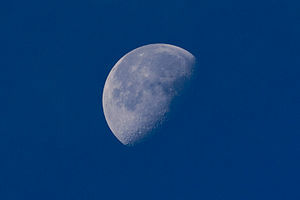 It is said that two full moons in the same month means that the second one is called a “blue moon.” Actually a fourth full moon in a season is the correct definition of a “blue moon.” Calling the second full moon within one month a “blue moon” is not traditionally correct, though it does occur. Whichever definition you ascribe to I still think it is special to have two full moons rising in the same calendar month. Whatever folklore or tradition that is tied to the “blue” full moon, Boston mountain folks have always welcomed them with awe. I believe we have always loved the effect the moonlight has on the land during each unique season. Anyway, look up in the sky on the 1st and the 31st of August and make your own celestial assumptions. 2 Responses to Blue Moon Soon! “prayer and meditation” . . . Nice!